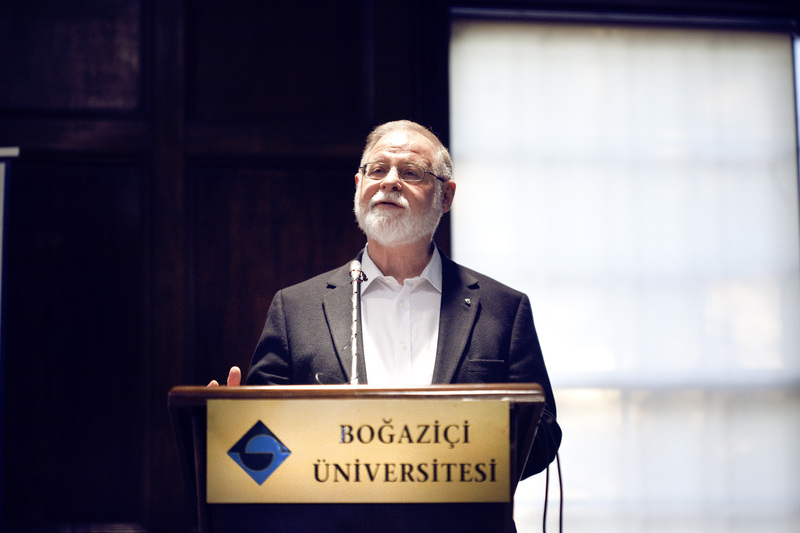 The very first visitor of “Boğaziçi Chronicles” in 2015 has been Alberto Manguel, the famous writer and reader. Alberto Manguel has made impressive statements during the conference about ‘’Borges, Libraries and Pleasure of Reading” about his master Borges, the world of books, power of reading and censorship and stated that anyone holding the power attempted censor throughout history, however the winner had always been the words. 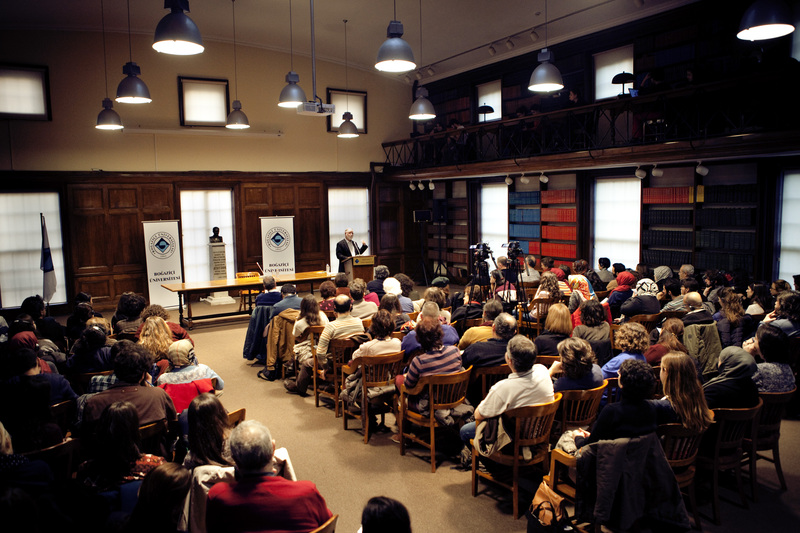 Manguel also emphasized that the libraries were a kind of censor tool and he believes that there is at least one paragraph written privately for each person. Besides, Manguel delivered a speech titled ‘’The Perils of Curiosity’’ at the university on the 14th of January. 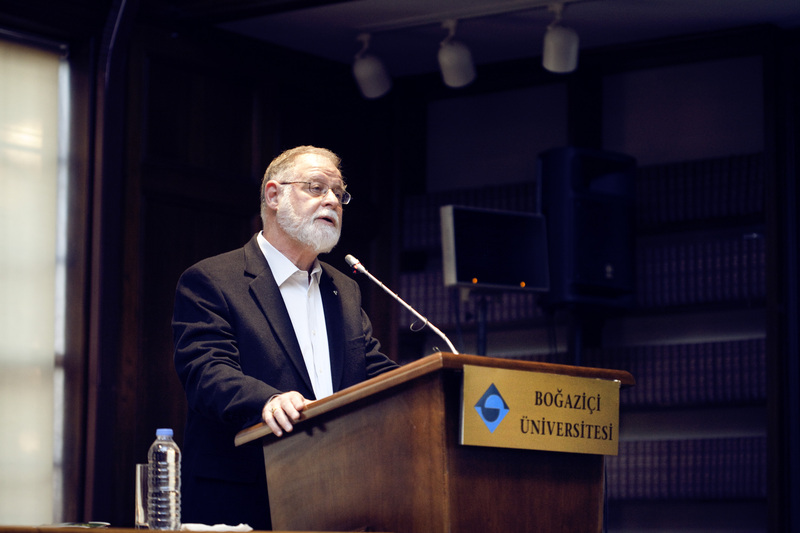 The very first visitor of “Boğaziçi Chronicles”, the international visitor programme of Boğaziçi University, has been the famous writer and reader Alberto Manguel. Manguel responded the questions of the attendees and the moderator Meltem Gürle intimately during the interview about ‘’Borges, Libraries and Pleasure of Reading” and has made impressive statements about his past years with the famous writer Jorge Luis Borges, world of books, the power of reading and censorship. Manguel shall be accommodating in Boğaziçi University until 20th of January to meet with students and academicians, and shall organize workshops on reader-writer relationship, history of literature, language revolution in Turkey and cultural anthropology. 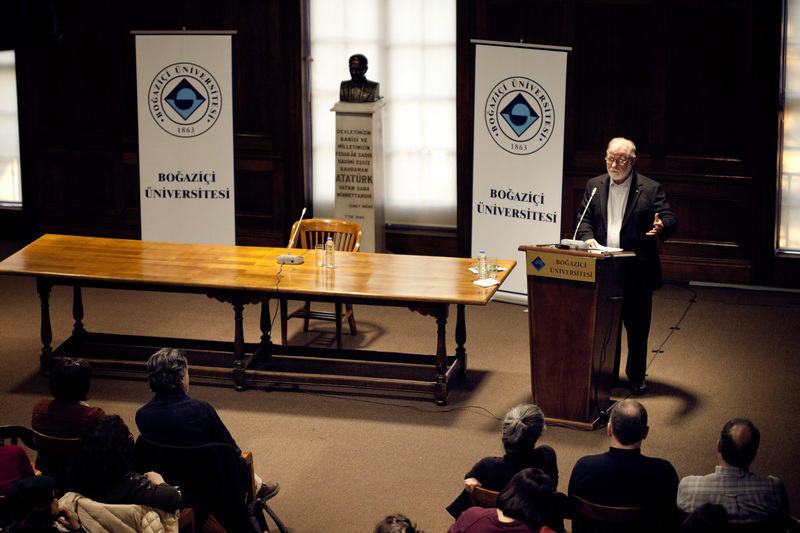 The “Boğaziçi Chronicles” programme, which was designed to contribute to cultural development of Istanbul, shall continue hosting significant artists, writers and philosophers in 2015 as well. 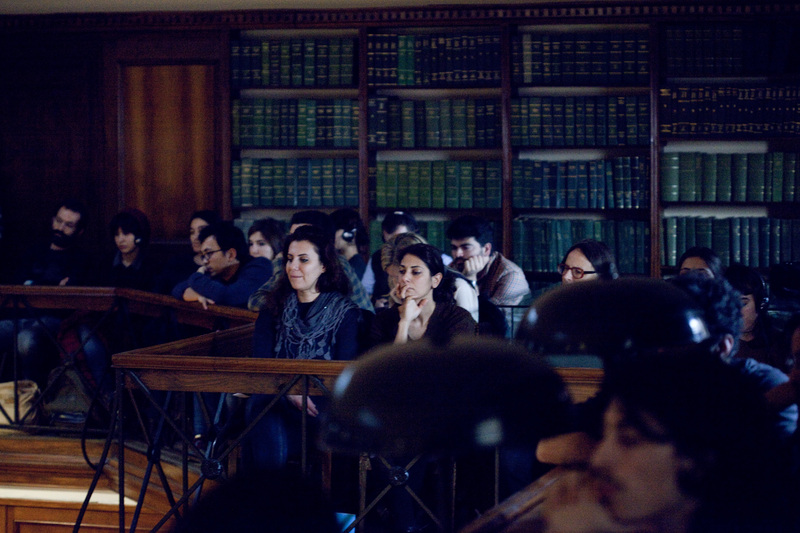 The guests of Boğaziçi Chronicles shall meet with students, academicians and Istanbulites, shall be a part of university life, shall make new productions by harmonizing their creativity and experience with Istanbul’s dynamic cultural environment and shall keep chronicles of their experiences.